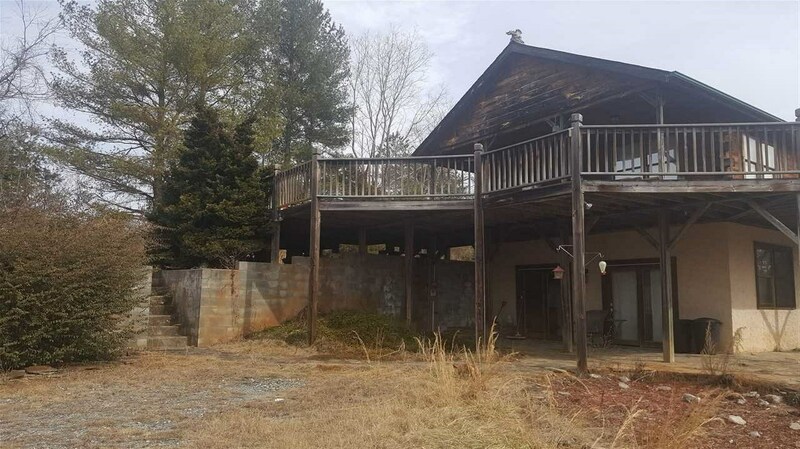 Beautiful mountain views and lots of potential in this unique cabin in the woods. Watch the sunset from the oversized deck and hot tub. 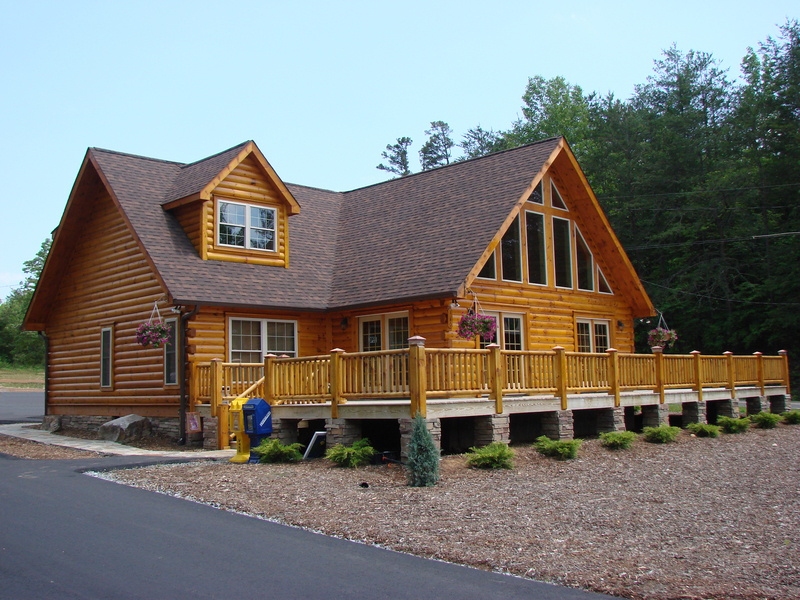 This log home has a very open and cozy design. It is more like a studio on top and bottom. A wall could be added easily to close off the bedroom on the main floor. Washer and dryer in basement level. There is a second kitchen in the basement. Outside access to basement only. This could possibly be used as a 2 unit vacation rental. Quiet and peaceful. Make trails through the woods for hiking or nature watching. Only about 15 minutes to Rutherfordton and 20 minutes to Lake Lure. Feature Remarks: Beautiful Mountain Views And Lots Of Potential In This Unique Cabin In The Woods. Watch The Sunset From The Oversized Deck And Hot Tub. This Log Home Has A Very Open And Cozy Design. It Is More Like A Studio On Top And Bottom. A Wall Could Be Added Easily To Close Off The Bedroom On The Main Floor. Washer And Dryer In Basement Level. There Is A Second Kitchen In The Basement. Outside Access To Basement Only. This Could Possibly Be Used As A 2 Unit Vacation Rental. Quiet And Peaceful. Make Trails Through The Woods For Hiking Or Nature Watching. Only About 15 Minutes To Rutherfordton And 20 Minutes To Lake Lure. Room Comments: The Cabin Is Actually Like A Studio On Top And Bottom Although The Tax Records Show A 2 Br. Home. There Is A Kitchen On Both Levels.